At The Law Office of Jeanne M. Wilson & Associates, PC, family law is our focus. Divorces, custody cases, parental rights, restraining orders, father’s rights, step-parent adoptions, and even grandparent rights are part of our daily practice of law. We understand that going through a divorce or child custody case can be a frightening and worrying time for you and your family. Not only are we one of the top attorneys in Colorado Springs, but we are sympathetic to the feelings of anxiety, anger, and frustration that you may face when taking a case to court. 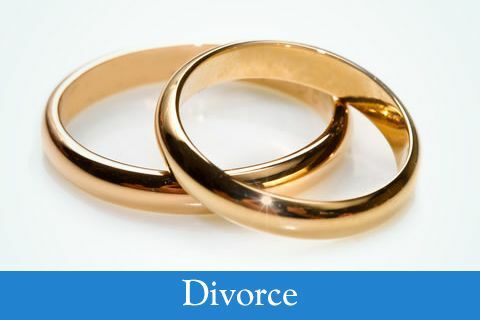 If you are looking for a divorce attorney Colorado Springs residents can trust, we are here to help. 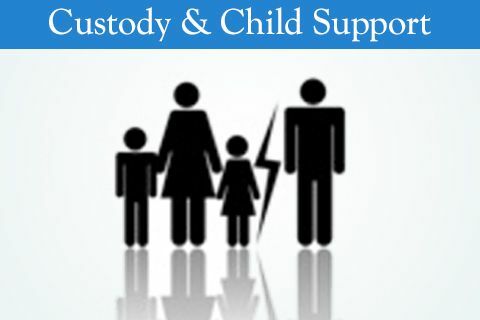 Bring your case to an experienced family law attorney in Colorado Springs and leave your worry and apprehension at the door. We will handle all aspects of your case, so that you may concentrate on maintaining your personal health and maintaining healthy relationships with those around you. Family law attorney, Jeanne Wilson, had devoted her life to helping individuals during the divorce process. She leads a dedicated team and takes the time to truly listen and understand each situation entirely. Taking a family law case to court can be a very difficult process. Consider hiring an experienced family law attorney to provide legal counsel and to guide you through the process. 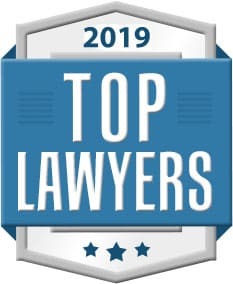 2019 Top Attorney Award for Family Law – AGAIN! At The Law Office of Jeanne M. Wilson & Associates, PC, we understand the unique challenges and problems in family law cases, and we understand the difficult emotions you and your family are facing. We are here to listen to your concerns and to provide legal counsel during this difficult time in your family’s life. We are here to ensure that everything is taken care of and the process goes as smoothly as possible. Let’s face it, divorces are complex and emotional. It is to your advantage to be well prepared, so we are making this “Divorce Checklist” available to you so you have the information and documents you need to traverse the divorce process, correctly, expediently, and cost-effectively. 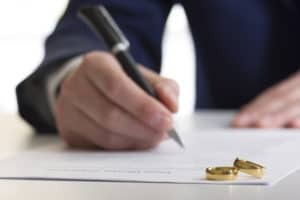 As a leading divorce attorney in Colorado Springs, we provide this tool for your benefit, without cost or obligation and are certain that you will find it beneficial regardless of who you hire as your divorce attorney. 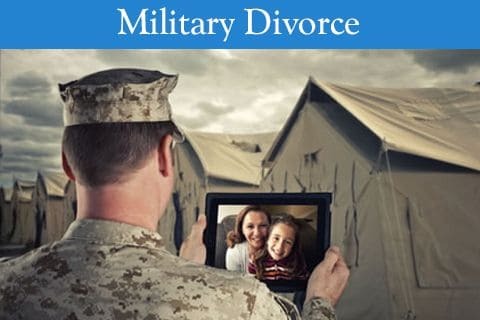 The Law Office of Jeanne M. Wilson & Associates, PC is an experienced military divorce lawyer in Colorado Springs and has handled hundreds of unique cases for military families going through a divorce or child custody case. We know the challenges you face are different than those faced by civilians. We are pleased to offer a discount to our active duty military members and their spouses. As a family law & divorce attorney in the Colorado Springs, CO area, Jeanne M. Wilson has been providing legal counsel and guidance to families going through difficult and transitory times for over 30 years. Jeanne and her legal team work with each client to provide individualized service and approach each case with the experience necessary to assist you with all of your family law needs. With a background as a trial lawyer, a child abuse, and special teams criminal prosecutor, and a corporate attorney, Jeanne M. Wilson has the experience and insight to be a strong advocate for you in and out of the courtroom. 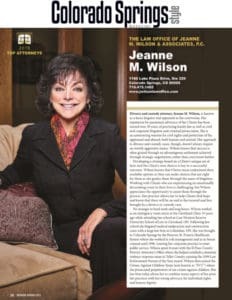 The Law Office of Jeanne M. Wilson & Associates, PC is located two miles south of downtown Colorado Springs on Lake Plaza Drive, near the Broadmoor Hotel and Fort Carson. (Map & Directions) We are Next to Culver's Restaurant. We have a relaxed, pleasant, child-friendly and animal-friendly office environment where you will feel comfortable talking with us about your legal needs. Our office hours are from 8 a.m. to 5 p.m., Monday through Thursday, and 8 a.m. to noon on Fridays. Contact our office at (719) 475-1495 to schedule a consultation.